Talent Management is not solely meant for enhancing and retaining the talent of a few special people within the organization. It is about maximizing everyone’s strengths, championing diversity, and encouraging creativity and innovation. It aims at creating a work environment where the organization resounds with energy, drive, and passion of befitting employees. Talent or skills are not a constant variable; rather, they are continuously nurtured, upgraded, and retained. Hence, there is a need for coaching and training to keep a viable talent culture across the organization. 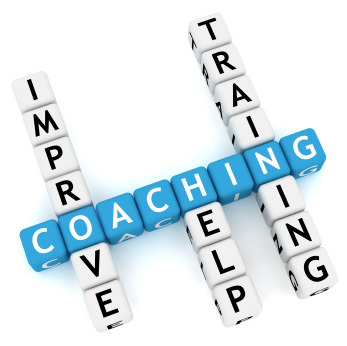 What coaching means in the context of organizational talent management is counseling and receiving feedback as to the performance of employees. Coaching in an organization focuses on supporting an employee either as an individual or as a part of a group to enable him/her to give their best performance. A manager asks an employee why he/she failed in a certain activity and explains what needs to be done. Coaching is all about making people feel stronger, motivated and thus, become capable of doing the right job. Develops new talent for future needs. A tool to manage multiple priorities. Assists in building a performance culture. Leads to improved employee performance and productivity. Leads to increase employee job satisfaction and self-esteem. Contributes effectively to the team and organization. Encourages employee’s passion for performance. What is the Impact of Coaching? Identify goal and objective − What do you want to achieve? It enumerates the goals and objectives of the organization. Assess current performance level − How are you performing now? It undertakes performance review and provides feedback to the employees. Performance improvement plan − Identify areas where performance can be improved. Action plan − Develop specific strategies. Execute and evaluate − Ongoing action, evaluate the progress of an individual. Coaching and resetting of goal as required. The following table lists the points that differentiate coaching from mentoring.